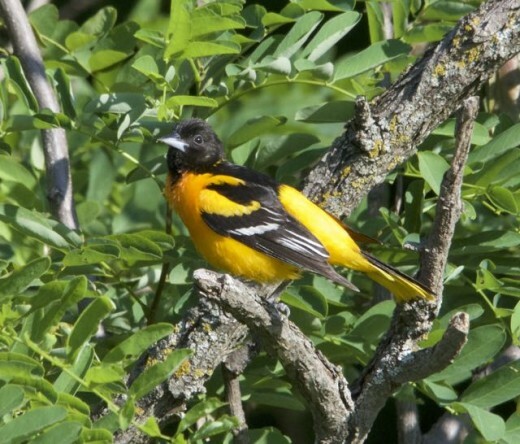 In the past, the Northern Oriole was once comprised of the Baltimore Oriole in the eastern part of the United States, and the Bullock’s Oriole in the western U.S. These two are two distinct and specific species, which in all reality, they really were from the start. In the western part of the Baltimore’s range, both birds will hybridize, as they overlap areas. 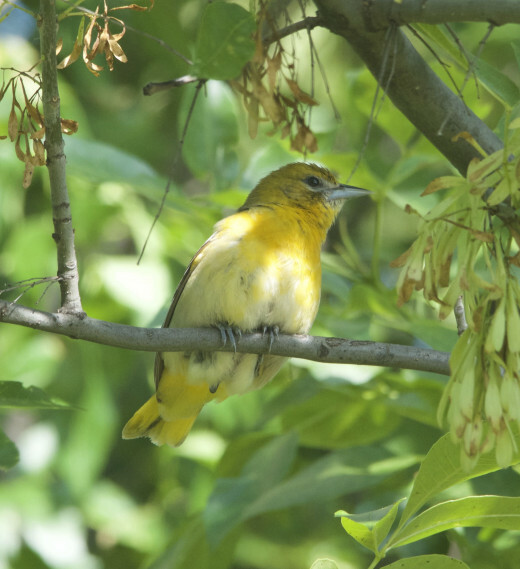 If you should happen to see a similar oriole with orange above and below the eyes with a black mask, and white on the wings, you have spotted the Bullock’s Oriole. Say hello to the state bird of Maryland. The link to Maryland came about in a rather interesting way, as their contrasting black and orange colors matched the family coat of arms belonging to George Calvert, the first Baron Baltimore, who founded Maryland. 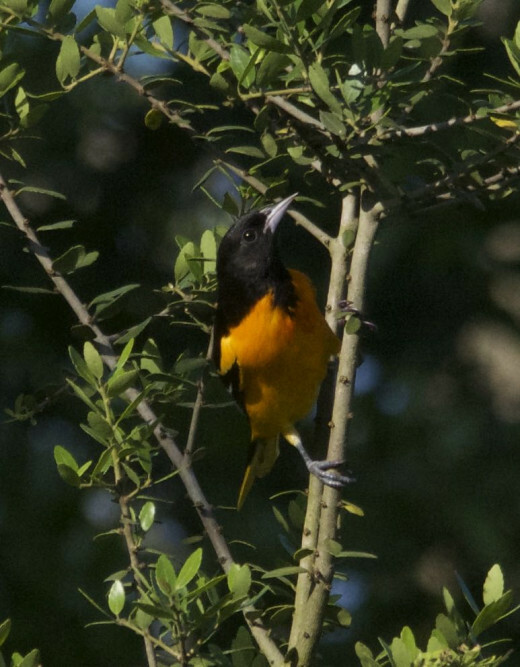 The male happens to be the sole bright orange and black oriole north of Florida. Some will winter on the southeastern Atlantic coast, and even make it to your feeders, if you entice them with orange halves, nectar, peanut butter, or suet. A courting male will bow to the female that holds his interest, and he will also display by spreading his wings and tail. During the typical breeding season, they will be generally paired, and out of season they’ll usually be seen solitary. Even after nesting, some males will remain with the family unit. This regal looking oriole forages in both trees and bushes, sometimes quite high. They savor caterpillars, fruits, berries, insects, and sip nectar. 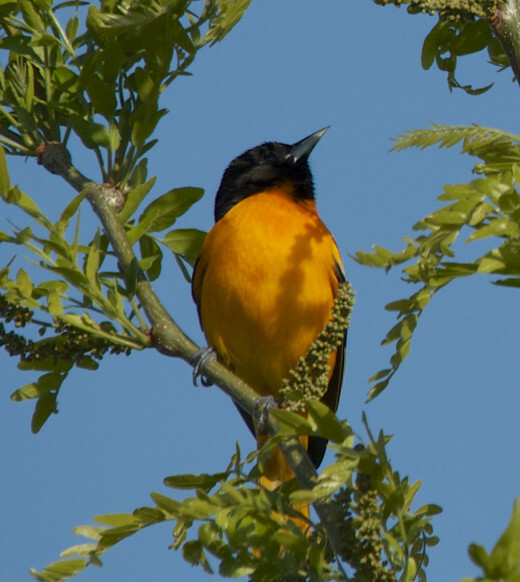 These gorgeous orioles are common in suburban shade trees, open woodlands and outskirts, and river groves. They are very musical, having a two note you-lee whistled call, as well as a rattled chatter. Most birds from different parts of the country will even have their own dialect, shall we say. 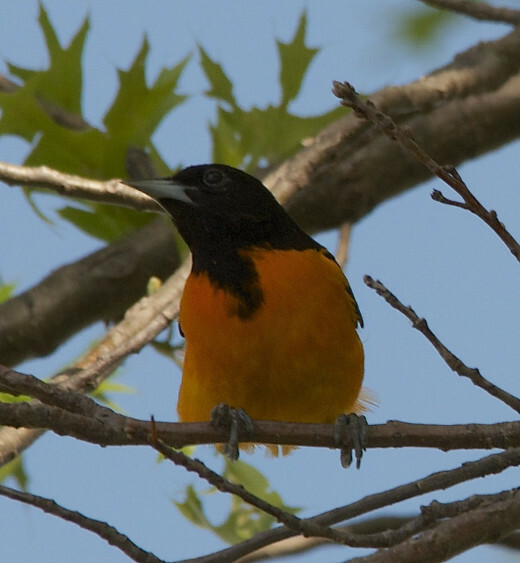 The Baltimore Oriole happens to be a doubly-blessed bird, for not only is he handsomely attired in his flash of color, that melodious voice will stop you in your tracks. The female’s olive yellow plumage is rather good looking compared to many other birds. This bird is most likely one of the best skilled nest builders of any North American avian. They carefully weave various thin plant fibers, grasses, horsehair, moss, cloth, yarn, and strings. The female is usually the responsible one, and sometimes the male will help her in constructing a rather complicated, hanging pouch. She will sometimes hang inverted for several minutes at a time, making numerous quick strokes with her thin bill. 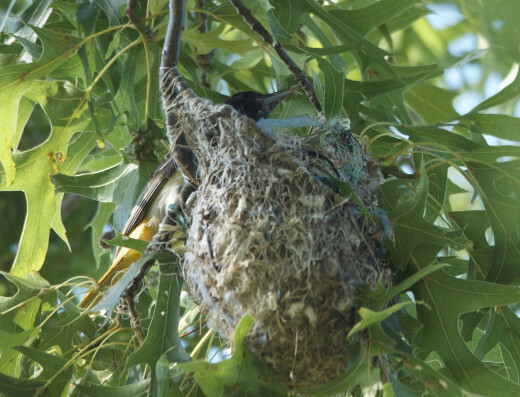 This nest is generally located in deciduous(leafed) trees from 25 to 60 feet on the end of a drooping branch. This nest was located on the end of a branch on an oak tree. Both parents are feeding nestlings, and they are feeding approximately every twenty minutes to half hour, so I will wager that these birds might be about ten days old on June 11, 2013. 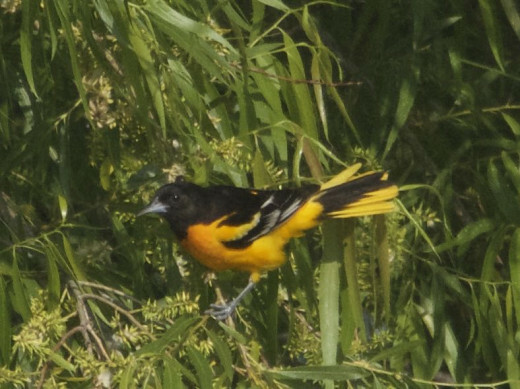 I am aware of another two nests on the east side of Boomer Lake, so this is going to be a good year for the orioles. I was recently told by someone else, that his father finally had a nest on his property. After living there for fifty years, and never seeing a Baltimore Oriole, he finally is able to share the joys of an active nest. As soon as I see fledglings, I will definitely add some pictures. Baltimore Orioles occasionally will gape: they stab the closed bill into soft fruits, then open their mouths to cut a juicy swath from which they drink with their brush-covered tongues. 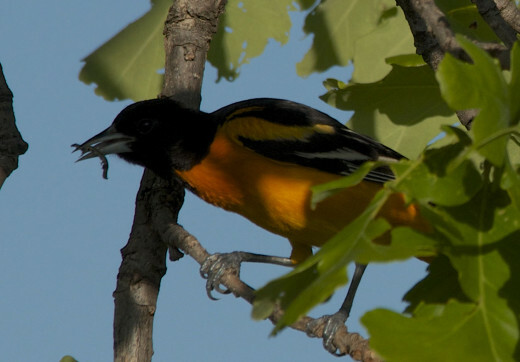 Baltimore Orioles prefer only ripe, dark-colored fruit. They search for the darkest mulberries, the reddest cherries, and the deepest purple grapes. Believe it or not, they will ignore green grapes and yellow cherries even if they are ripe. After having observed these birds for several years, I have learned that they reuse their nests. 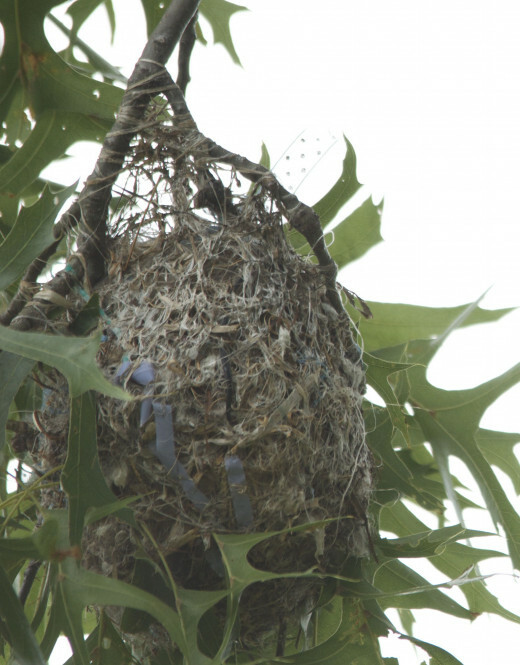 Since these birds are naturally remarkable weavers, I have seen their nests survive extensive winds unscathed. After a year off, a three year old nest is once again in use, with no repairs. Hey, Norma. They truly are gorgeous. 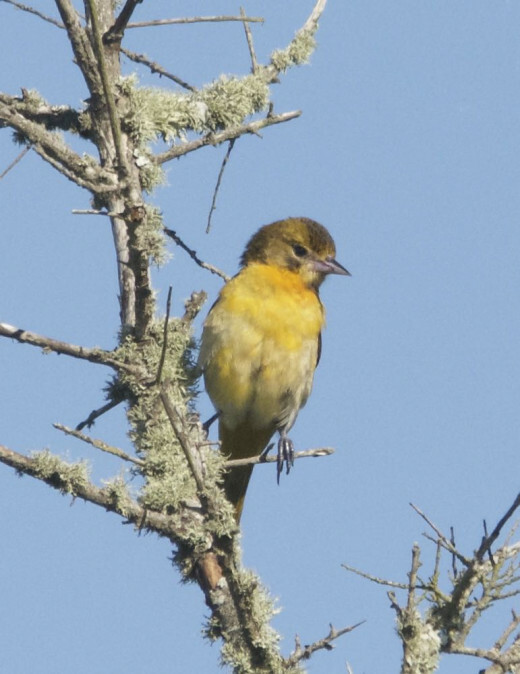 Have you ever seen the rust-colored male Orchard Oriole? Thanks so much, mayor. Come back any time that you like. I just want to tell you that I am beginner to woelbg and absolutely enjoyed this web page. More than likely I’m going to bookmark your blog post . You amazingly come with awesome articles. Appreciate it for sharing with us your blog. Hey, FlourishAnyway! You are so welcome. 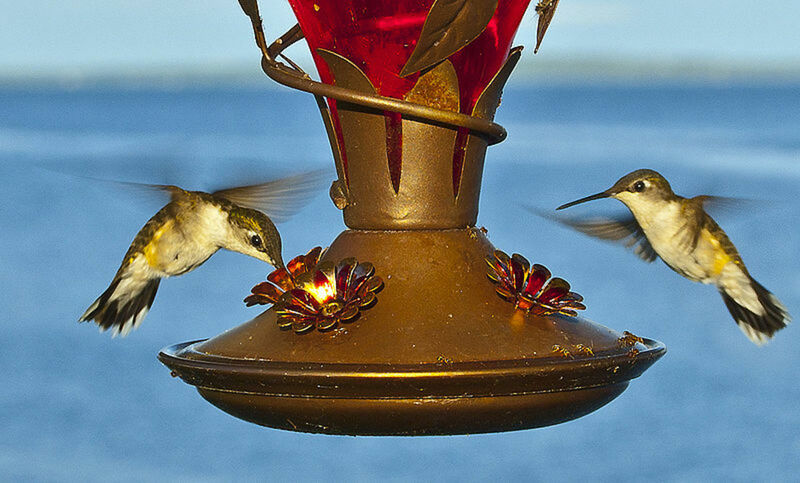 They are wonderful birds full of remarkable personalities, and they have great memories. That little youngster in the nest remembered me well enough to show me how he had grown in such a short time. Many people call birds "birdbrains," but they are far from stupid. Glad that you enjoyed one of the "Beautiful Bird" series. These are beautiful birds. I've never seen them, and thanks to your amazing hub full of photos I've got a "bird's eye view" of them nesting. Thank you for sharing information and photos. Just lovely! Indeed it is, Kim. You can put out some grape jelly or an orange half and it will be quite happy. We go camping usually every weekend and have a trailer not too far from home and I was at camp sitting on our deck and lo and behold a Baltimore Oriole! It stood out like a stick in the mud against the backdrop of the trees and was absolutely beautiful. It's been back to our site since and enjoys drinking out the birdbath I have there. Quite an eye-catching colour and a joy to watch. Within the next few days, Mary, I'll have a few new photos on there. I added my own nest at the lake a few days ago, and got several extraordinary sots recently. Glad that you liked the story. Well, bird lady, another beautiful hub. We don't have oriole's this far north so your hub is a treat to me. I love their color and have a feeling I might enjoy their sound as well. Your photos are great, so bright and so clear. Hey, M! Good to see you, as usual. These are great birds, and I just couldn't resist doing a story. Great information. I enjoyed your pictures too. 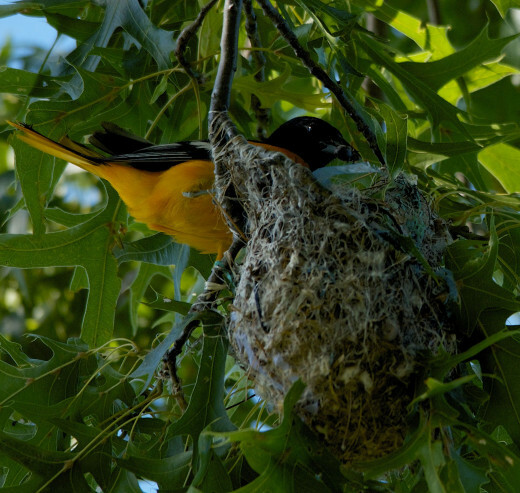 Now I know that Baltimore Oriole are one of the best nest builders. Thanks, dreamseeker. I will travel the world, one bird at a time. Thanks for visiting, and may you be happy in your quest in life. Wow! Beautiful pics, beautiful bird, Deb! : ) Love your hubs, and have to vote them up and awesome. rdsparrowriter, thanks so much! I would love to hear about your wildlife, if you are ever able to do a story. rdsparrowriter, thanks for the visit. I do so enjoy watching these birds in action. Now is truly an interesting time, when they are nest building and raising little ones. Now all the nests are covered over, but I do know where a lot of them are, even with the leaf cover. Beautiful and interesting hub :) Well done! 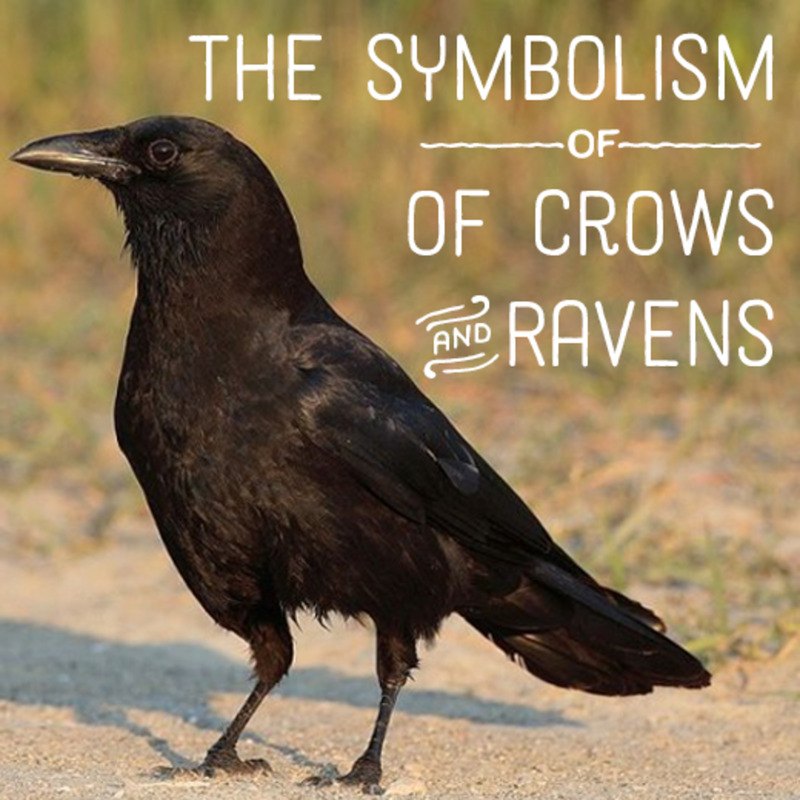 I enjoyed reading and learning about this beautiful bird. God bless you! I wish we could see these lovely birds here in Singapore. There are a few at our Bird Park, but I wonder how well they acclimatize here. Will have to research more on that! Thanks for sharing!! Hey, Leslie! The camera is on the profile pic--my main photo. When I was back home in Maine for three years, the bears would visit if you had a bird feeder, so I would always take mine in at night. The next door neighbor even used to get them during daylight! Memories are such wonderful things, though. Most of mine bring on a smile or two, especially with the animals. Mmmmmm..i love this bird and it's song! mmmmmm...i so loved that cabin...brings tears to my eyes..
Hey, D.A.L! Thanks for the kudos! I have been stuck inside for two days due to work shifts, and it is supposed to be cloudy first, then rain. The clouds are expected to lift, so I want to visit the lake, of course. 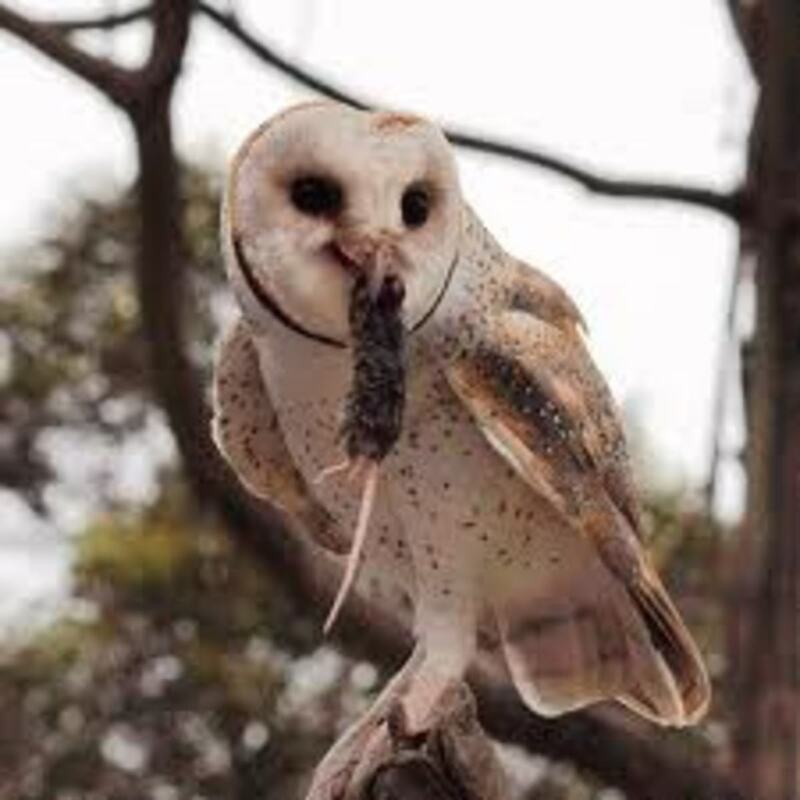 Hi Deb, it is great to read about these beautiful birds and their lifestyle. As always your images enhance your informative text. Loved this. Thanks, dghbrh. They are a fabulous photographic subject. ChitrangadaSharan, glad to pass on a little ray of sunshine from the bird world. How are those beautiful peacocks and hens doing this season? Hey, Alicia! These are truly gorgeous birds, and once you hear that song you try to seek them out. Hey, moonlake, good to see you. Thanks for your support, and maybe this year, some of the orioles will stick around. Strange things are happening this year. Very brilliantly done.Liked the pictures very much. Votes up and shared. Wow! What a beautiful bird! And your pictures and description is so wonderful. Good to know about this beautiful bird from you. I love the beautiful colors in the photographs, Deb! The Baltimore Oriole is a very handsome bird. Thanks for sharing the interesting information about the bird's life. I love Orioles they are so pretty. They come through here but don't stay in this area. If we're lucky they will stop at our feeders. Interesting hub I never knew what their nest looked like. Voted up and shared. Thanks, Hollie! This is one exquisite bird, but there are many others, too. Thanks, Martin. That that is one of nature's wonders that one won't want to miss. Colin, you and your heart will be in my thoughts. Give the kitties a scratch or two for me. Being paroled from the hospital and being out in the open again is enough to want to experience as much nature as possible. Ah, the beacon from the lighthouse reminds me of my childhood in Maine, where there were many. Hey, whonu! I MAY have had a glimpse of the female oriole yesterday. I looked around for a nest, but didn't spot it in that particular area, so I shall keep looking. Wish me luck. So beautiful. So informative. Really liked the pictures. You are our natural wonder of hub writing when it comes to preserving our wildlife and the environment and in the process enlightening and educating your lucky readers through your world class photography and text. Hey, North Wind! They are so wonderful. This year, quite a few are out and about. I only saw a few of them last year, so I'm happy that things have turned around. Orioles are really beautiful birds and that is why they rank on my favorite birds list. I especially love to hear them sing sweetly. Thanks, Billy! They are a welcome addition to any area. That's right, summerberrie, that is a good way to identify, if you can find a nest. They are so beautiful, but in voice and appearance. They really are a beautiful bird, and your pictures are exquisite. Nice job, Deb! We had a Baltimore Oriole in our front yard once. Just beautiful. She build a nest in a huge Magnolia tree. We actually identified the bird before we even saw it based on the nest!